SINGAPORE, SINGAPORE - JANUARY 2016: day light marina bay sands hotel and mall panorama 4k time lapse circa january 2016 singapore, singapore. 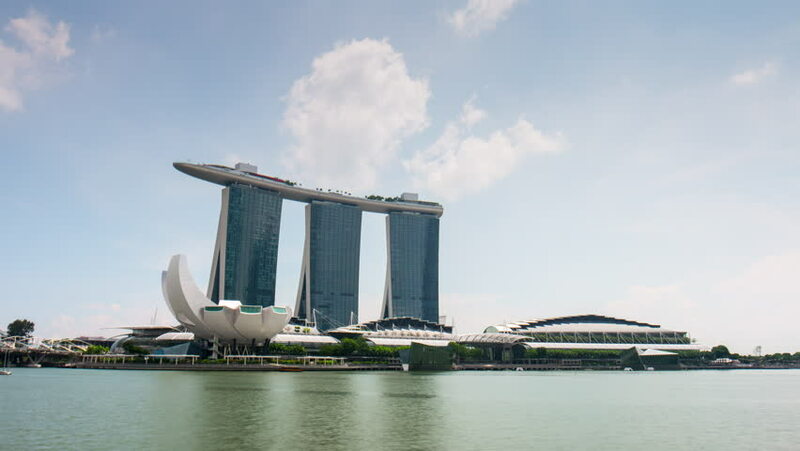 4k00:13Singapore-June 30,2014: Sky and Marina bay sand Hotel at daytime in Singapore.Time lapse. 4K format. hd00:05SINGAPORE - NOVEMBER 12: (Timelapse View) Marina Bay Sand on November 12, 2010. It is Singapore's Integrated Resorts feature casino, hotel, convention centre, art and science museum and shopping mall.